Our today’s featured artist is Lori alias rowan300! She is one of my favourite artists on etsy! 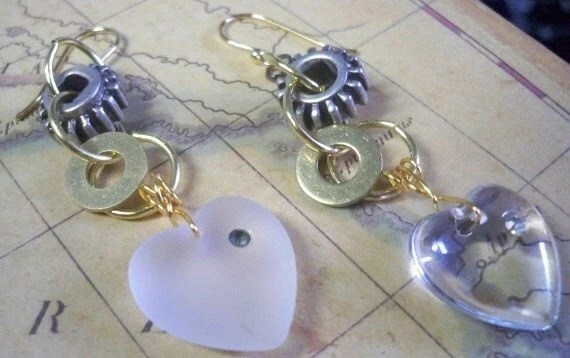 She creates such pretty and creative steampunk items that you have to know her! Let’s get started and have fun! I’m from California. I just started making jewelry in October. I have a bachelor’s degree in marketing and have worked in business and retail all of my adult life. I am currently working full time as a manager at a self storage company until I can afford to make jewelry full time. I like to garden, bake, read, go to the beach and play with my dog. I’m not sure I have a style that can be defined. I get bored easily, which leads to me usually having several projects going at once. I infuse that energy into my brand by working pretty much non-stop. Inequality, meanness and closed mindedness makes me angry. I’m not sure how to let that come through in what I do yet. I started making jewelry because I quit doing any hobbies when my son was born. I had him very young, was a single mother and was working and going to college at the same time I was trying to raise a baby. Now that he is grown I decided I needed something fun to do. 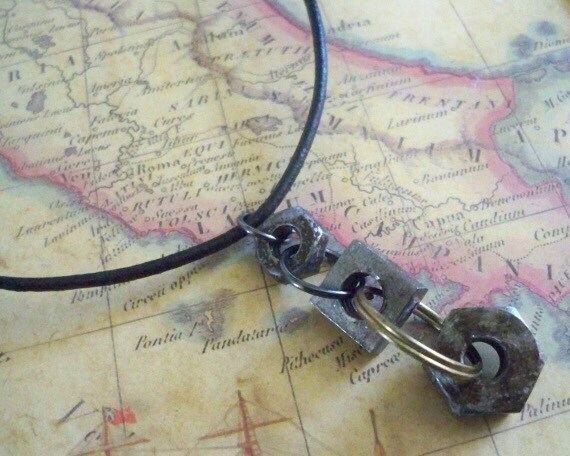 I found out I love making jewelry and tinkering and experimenting with metals. My plans for the future are to be incredibly successful. I actually have plans for a bakery as well. I hope to merge a stand alone bakery and mobile bakery into something with a steampunk edge where I can sell my jewelry and other people’s work. Sounds crazy but I know I can do it. I make fun and interesting items that I hope bring as much joy to the people who buy them as I get from creating them. 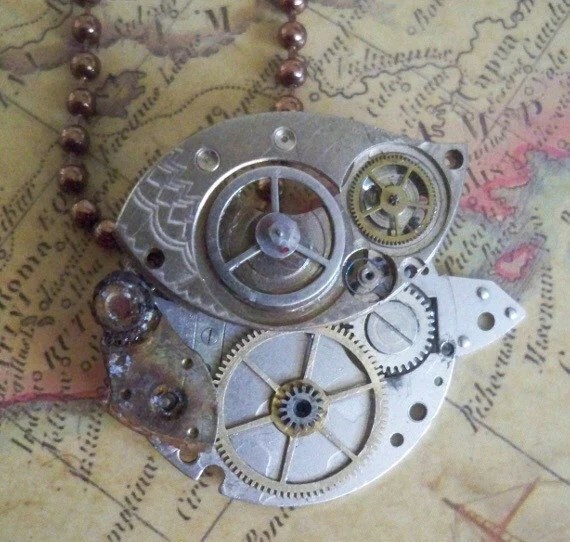 In the steampunk jewelry category I notice a lack of imagination and originality. I would like to get people to buy items that are truly handmade and unique rather than the same thing you can get from 50 different sellers. 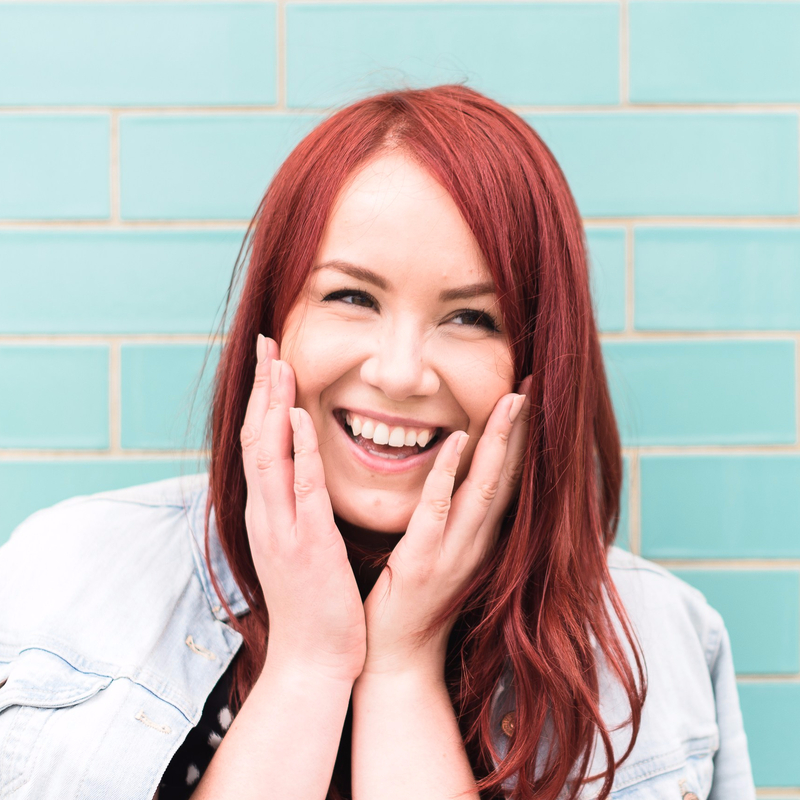 My ideal customer is someone who has a unique sense of style, aren’t interested in wearing the same thing a thousand other people are wearing and have a sense of fun and adventure. Creating one of a kind, beautiful, well made items. I have a wacky sense of style and sense of humor, I think that shows through in what I make, especially the clockwork critters and robots. I’ve been through a lot of adversity over the course of my life, as most people have. I’ve learned not to take things too seriously, to maintain a sense of humor, to remain positive and to never give up. I think I already bring a lot of that to my brand or I would have given up by now. I want people to be happy. When they look at something I’ve made I want them to smile. I want them to love it as much as I do. I do get excited when I make a sale but I also get a little sad because I love each item I make so much.